Muffins can be both savoury and sweet and usually have a dense consistency which can be packed with dried fruit, vegetables, chocolate or cheese. 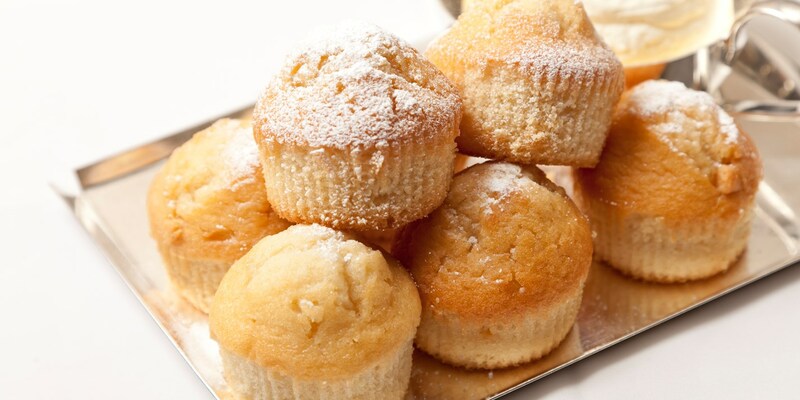 Muffins are generally eaten for breakfast or as an afternoon snack, pairing wonderfully with a cup of tea or coffee. This delectable collection of muffin recipes includes Shaun Rankin's apple muffins, Andy Waters' white chocolate muffins, and Marcus Wareing's olive, feta and herb muffins.